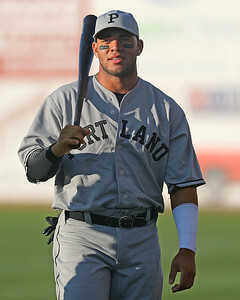 Among the highlights of Moncada's season was his MVP performance at the MLB Futures Game. He went 2 for 5 with a two-run home run in that showcase, also flashing some leather on defense in robbing his Sea Dogs teammate, Andrew Benintendi, of a hit. Moncada has gotten off to a slow start in his initial taste of major league action, going just 4 for 19 with 12 strikeouts. Moncada will highlight a contingent of seven players who will participate in Arizona Fall League action starting next month as he continues his transition to third base.